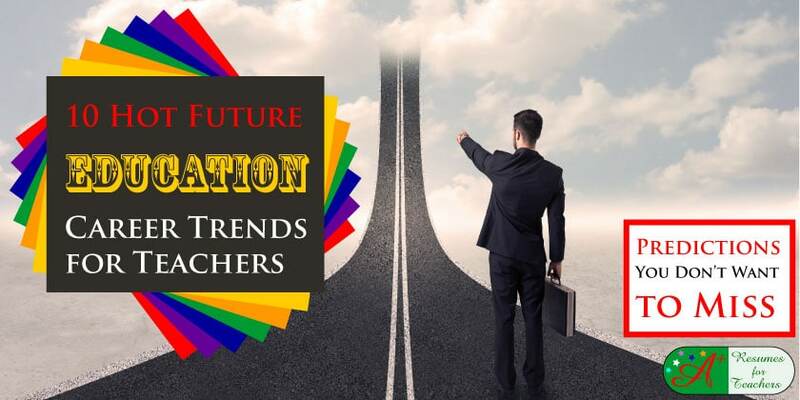 Educators have been scanning headlines to discover education career trends for teachers and education leaders and the predictions for the upcoming year. Numerous second career alternatives or options are available for teachers wishing to leave classroom teaching. The first of the educational career patterns is that teachers will not limit themselves to the classroom. They will expand their career options within teaching through one of the hot education jobs listed below or transition to entrepreneurship. In this role, educators will act as independent academic advisors who will be hired by parents or the school. They’ll advise students on educational and career opportunities, enabling them to make decisions about schools and college majors. To qualify for this post, you’ll need to have a certificate in educational consulting. As most schools don’t offer this program, consider getting certified online. Moreover, become a member of a professional organization like the Independent Educational Consultants Association or the Higher Education Consultants Association to improve your chances of getting selected for this position. How to write an education consultant resume and market yourself are two of the critical steps to moving in this direction. Also known as an instructional coordinator, a curriculum developer focuses on the topics which students learn and the materials their educators use in the classroom. If you opt for this job, you’ll be entrusted with observing teachers and recommend changes to improve student performance. You’ll also have to make amendments to the school’s curricula, ensuring that it’s in line with the state’s standards. Individuals interested in this line of work should have a master’s degree, preferably a Master of Arts in Education in Curriculum and Instruction or a Master of Arts in Curriculum and Educational. You’ll also need a valid teacher’s license or administration license, so make sure to find out about your state’s licensure requirements. A career counselor analyzes individuals’ education level, work history, interest, skills, and personality to determine which careers they should pursue. In this role, your aim is to balance job satisfaction and financial payoff, be it for people who are jobless, just entering the workforce, between jobs, or unhappy with their career choices. While a bachelor’s or high school diploma are accepted for this role, a master’s degree is preferable, especially if your state requires licensure. A master teacher is entrusted with a variety of tasks as they’re supposed to set an example for other teachers. In addition to mentoring both students and teachers, providing both with advanced instructional techniques, you’ll be entrusted with providing opinion on the current curriculum and developing classes and courses for students. You’ll also be establishing accountability and evaluating the effectiveness of the curriculum through tracking student grades and progress. For the position, teachers with a doctorate are preferred. However, most states accept applicants with a master’s degree. Also known as an online teacher, a virtual instructor imparts knowledge through technological instruction systems and tools. They interact with students through computerized, audio or visual equipment. While many deem this as the challenging aspect of online learning, the need to design a compelling and enriching curriculum is why this role isn’t for everyone. For this job, you’ll need a minimum of a bachelor’s degree and a teaching certificate. However, if you’re planning to teach post-secondary students, you’re expected to have a doctorate most of the time. On the other hand, professional experience is necessary for technical and trade schools. Another unique role, charter schools innovator allow educators to devise and implement innovative ways to teach students while being held accountable for advancing student achievement. As there’s not much information on this role, you may need to contact a charter school for more information. As an instructional leader, you’ll be in charge of establishing goals, managing curriculum, monitoring lesson plans, and evaluating resources to ensure student learning and growth. As a school principal, assistant principal, program administrator or departmental administrator, you’ll also be entrusted with the legal, financial, and administrative tasks of the school. To be chosen for this job, you’ll need at least a master’s degree to meet most states’ licensure educational requirements. To increase your chances of getting this job, opt for a Master of Arts in Instructional Leadership. There will continue to be many professionals transition into the education sector. If you are one of them, you may wish to review these tips before changing careers to teaching. And, if you need help with your resume, cover letter, LinkedIn profile to target these positions or any other career opportunity just let us know. If you don’t know which education career direction you wish to venture into it may be time to consider our career and job search coaching services. After receiving 55% more funding last year, the education tech investment globally is expected to reach $107 billion this year. To ensure that you’re ready for the tech your students will ask for, here are the five biggest education career trends expected in this area. 1. Adaptive Learning Software – This type of software will help teachers create personalized; practical lesson plans based on data collected from students. Adaptive learning solutions will further predict which students may fall off track and which are ready to move on to higher level concepts. 2. Adaptive Learning Styles – Teachers need to embrace new teaching tools rather than limit themselves to textbooks and chalkboard teaching styles. Through these, teachers can engage students through video, mobile and other channels they are used to. 3. Classroom Flipping – Classroom flipping is one of the strongest education career trends in ed tech. It allows students to watch lectures or handle reading assignments at home and then work on their homework or assignments in class with their teachers. With 2016 offering better analytics and more interactivity, expect higher student engagement. 4. Increased Access to Resources Globally – Thanks to hi-speed internet access, digital education resources are spreading like wildfire. Students can learn anywhere and from any country as a result. 5. Virtual Reality Use in Classrooms – Virtual reality offers students immersive lab experiences, especially during subjects like science, engineering, and mathematics. In 2016, K-12 and post-secondary faculty are expected to work closely together, aligning what they teach to ensure students’ success in college and beyond. This because a necessity as employers would often complain about graduates not being ready for jobs while colleges blamed high schools for sending through students who aren’t capable of college-level work. With Common Core State Standards adopted in many states by this year, this education career trend is coming your way. Traditionally, students were trained to consume a lot of information over the course of twenty-some years of their lives. This educational process did entail engagement and interaction, but creation wasn’t part of it. This will change in 2016 as creativity and ingenuity are a necessity in today’s workplace. In fact, creativity is deemed an essential leadership quality and paramount to a successful business. Moreover, by allowing students to become creators, educators assist them in developing their problem-solving skills, which will enhance self-esteem and contributes to their personal development. Since 2015, the number of alternative programs offered by higher education institutions has increased. From Bootcamp programs to massive open online courses (MOOCs) for credit and all the way to mini-degrees like MIT’s MicroMasters, non-degree programs will be used to complement an educational institution’s offerings, filling the need for the flexible, accessible training required for students’ vocational education. Therefore, if you’re an instructional leader or entrusted with the curriculum, you can adjust your school’s to complement alternative credentialing in the future. This requirement is especially true if your students are adults in the workforce seeking new skills to improve their career options. Many entrepreneurs, especially those in Silicon Valley, have been openly sharing what went wrong with their ventures. Many leaders believe that failing intelligently is skill and necessary to reach ones’ full potential. Without it, they believe students would be unable to optimize learn and embrace change. Up till now, many educational institutions didn’t give their students the opportunity to fail and learn from their mistakes, preventing them from succeeding in real life. Teachers need to understand that tests don’t simulate real life nor are they connected to the actual demands of the workplace. Therefore, their goal should be to raise motivated learners with excellent problem-solving skills who can make a difference in the world. In 2016, ‘real failure’ should become part of your syllabus. For instance, you can actively reward failure by incorporating routine reports of failure into students’ final grades. This strategy rewards risk and persistence while embracing failure as part of the learning process. For post-secondary teachers, courses such as engineering can introduce failure by allowing the design and creation of prototypes. Since students are not considered trained professionals, their work may succumb to failure. Allowing students to fail before they can re-design and re-test their work encourages them to take on the unknown, challenge themselves, and learn something new. This process is an enormous part of incorporating the growth mindset concept into the classroom, which has been trending and escalating in education. In my opinion, of all the education career trends this is one of the best. Towards Maturity reports that 47% of organizations have embraced mobile learning (a.k.a. m-learning), indicating the popularity of this method with learners. Implemented in classrooms, this method uses handheld computers, smartphones, and PDAs to enhance group collaboration through communication applications, improve learning experiences for distance education, and provide audio recordings of lectures. • Use of HTML 5 – Unlike Flash, HTML 5 promises a versatile, faster and robust experience to mobile learners. Therefore, you’ll need to make the necessary changes to your mobile learning course to prevent limiting your audience reach. • Integration of Big Data Analytics – Big Data provides educators with the opportunity to understand learner preferences and improve their training strategy. Using app analytics will further allow you to track your mobile traffic, device usage, and even strengths and weaknesses of the mobile training program. • Adaptation for Wearable Tech – Wearable tech devices such as Google Glass and Oculus Rift has become popular due to its affordability and user-friendliness. As they make their way to classrooms, you’ll need to make sure that your m-learning course can effectively run on these. • Integration of Geo-Location Features – Adding geo-location features gives teachers the chance to provide relevant online training to the global audience. The system detects the learner’s location and delivers the course or online training materials with a choice of native language subtitles and culturally appropriate activities. Gamification, or the use of game design elements in other contexts aside from games, promises a lot of potential to educators as well as their students. Turning coursework into games allows students to develop persistence, courage for risk-taking, attention to detail, and problem-solving. Using elements such as levels, points, achievements, virality, loss aversion, discovery, and infinite play, students will excel. One of the best examples to showcase the power of gamification in education is that of North Carolina State University, which used this method in course development and to sets students on the right career path. Integrated into the establishment’s Sports Management Course, the gamification module challenged students to collect points across 14 skill sets required for their real-life career paths. Students who participated in the module had better midterm scores and their quality of responses improved. Therefore, educators need to consider gamification if their budgets allow it seriously. As education is a key differentiator in developing the workforce, the field is closely related to creating and sustaining economic prosperity. Realizing this, albeit a little late, local and national leaders are pushing to ensure a closer alignment between educational systems and economic development initiatives. The partnerships and interactions between governments, employers, educators, parents, and students will allow the collection of data which can create a better understanding of the global workforce. Employers, administrators, and policymakers should further support the alignment between jobs produced by global economies and the graduates produced by local educational systems. While this is a great change, it’ll take some time before its effects can be felt. This is because the current educational systems need to respond boldly whereas leaders should support predictive tools, student-center processes, and device learning. Once these are in place, all stakeholders will benefit, and both the country’s educational system and the economy will improve. #10) The Demand for New Assessment Methods is on the Rise is the Last of the Education Career Trends in This Post. The central interest of all learners is to receive feedback on their performance. However, students can only benefit from feedback if it’s timely, objective, and relevant to them. Unfortunately, end of unit or end of year assessment approaches fails to meet the timeliness criterion whereas generic feedback on a topic or class assignment fails to be relevant. Keeping this in mind, educators and researchers are working on new assessment processes that take in mind the learning-centered approach to the current education system. By 2015, student-owned e-portfolios and awarding badges for chunks of learning offered students and teachers alike flexible mechanisms that allowed the recognition of learners’ achievements. More techniques are expected to come your way, especially with Big Data and analytics becoming a prominent part of education. While it’s too soon to determine which of these education career trends will prevail across the country, you can begin by making a difference in your classroom. Select what you can apply to your small world and assess its success with your students. Just remember to give these changes enough time for everyone to adapt to them before striking them as ineffective. Now it is your turn; please share your thoughts on these or other education career trends.